Puerta Zama Aqua 107 is located in Tulum. 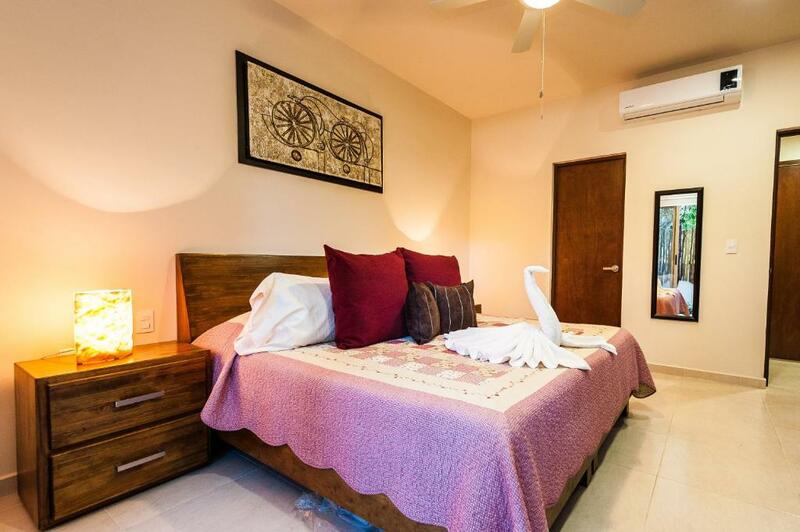 The property is 3.2 miles from Tulum Archeological Site and 1.8 miles from Parque Nacional Tulum. 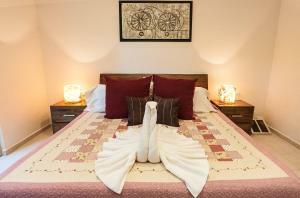 The air-conditioned apartment consists of 1 separate bedroom, 1 bathroom with free toiletries and a living room. A TV is provided. The apartment has a year-round outdoor pool. Puerta Zama Aqua 107 provides a terrace. Tulum Bus station is 2.1 miles from the accommodation, while Bus station Tulum Ruins is 2.8 miles from the property. 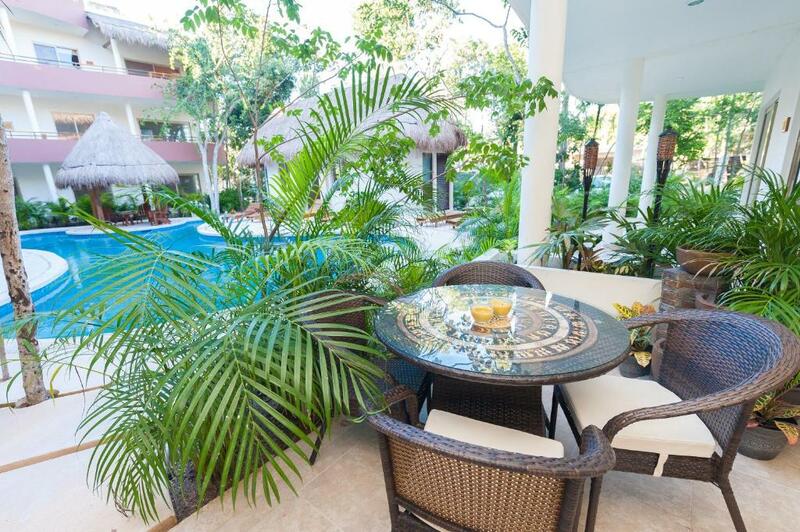 The nearest airport is Cozumel Airport, 50 miles from the property. When would you like to stay at Puerta Zama Aqua 107? 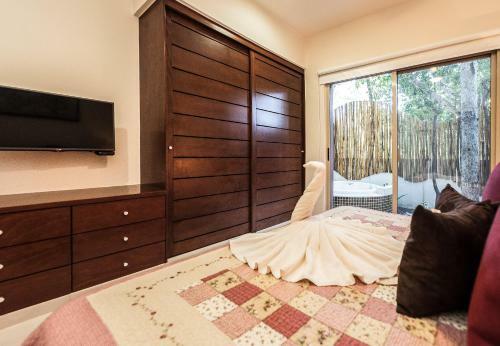 Based in the most exclusive secure area in Tulum, this condo is a perfect option for a couple. 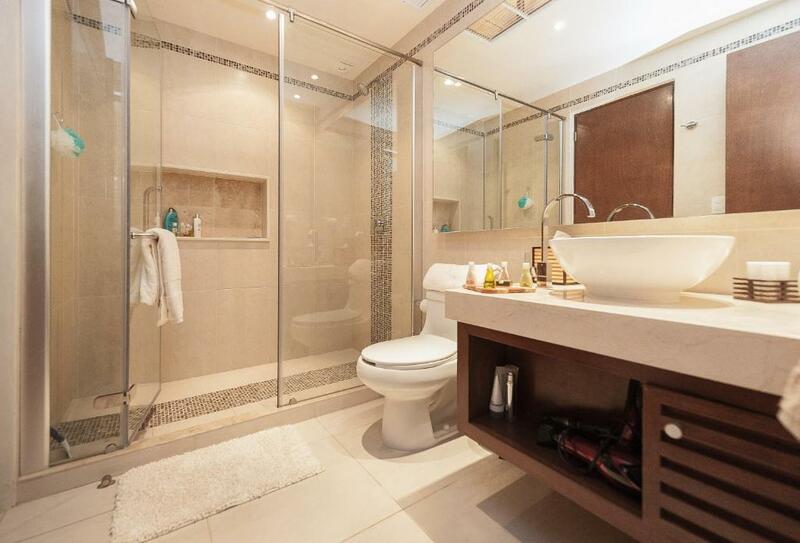 Conveniently located and with easy access to the lush outdoor jacuzzi, this ground floor apartment is a luxurious and comfortable stay on your Caribbean vacation. 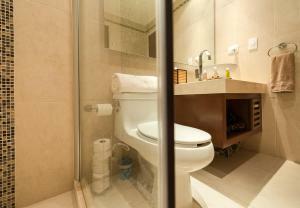 We are Best Riviera Maya Rentals. We manage vacation rentals in Tulum Mexico and we will be looking after you during your stay. We have a dedicated team of maintenance and cleaning specialist who prepare our units to the highest standards in Tulum, which allows you to focus on what you came here to do: Enjoy your Tulum visit. House Rules Puerta Zama Aqua 107 takes special requests – add in the next step! A USD600 damage deposit is required 0 days before arrival. This deposit will be fully refunded 0 days after check-out, as long as there isn't any damage to the property. 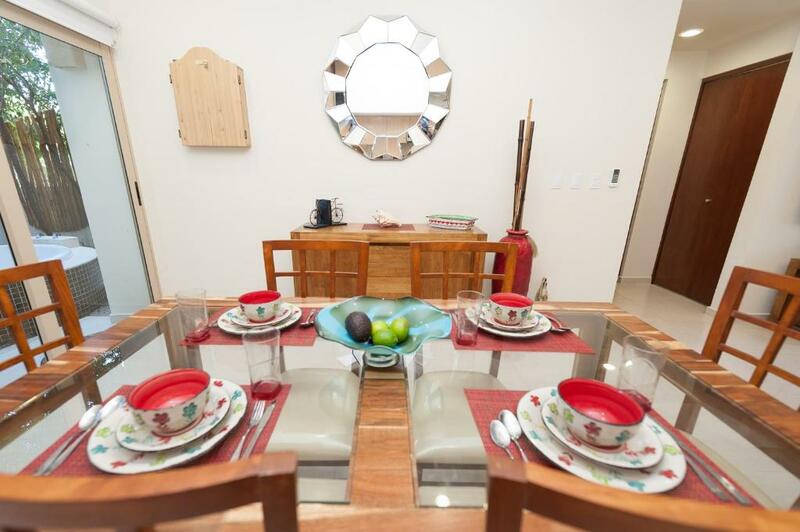 Puerta Zama Aqua 107 accepts these cards and reserves the right to temporarily hold an amount prior to arrival. 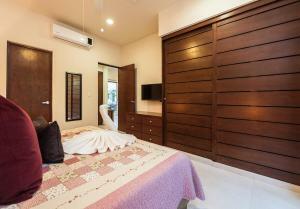 A damage deposit of USD 600 is required when you book. You should be reimbursed on check-out. We need at least 5 reviews before we can calculate a review score. If you book and review your stay, you can help Puerta Zama Aqua 107 meet this goal.